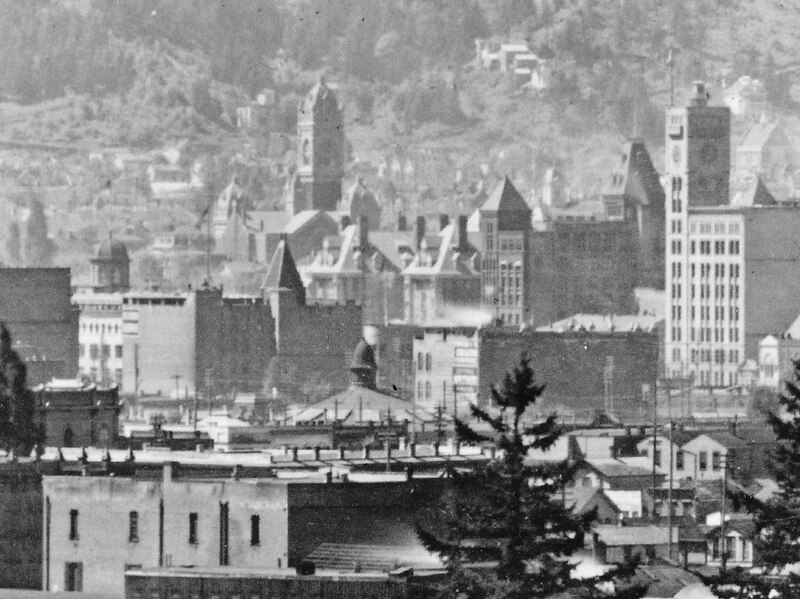 It appears on the peripheral in photographs of Portland from the 1890s, a large circular building on the block bounded by Third, Fourth, Pine and Ash. A roundhouse perhaps, or a giant carousel? 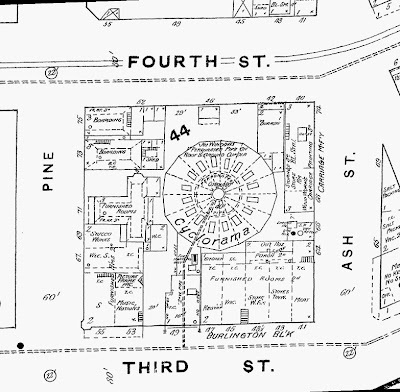 A Sanborn Insurance map from 1889 provides a name, Cyclorama, but not its function. Could it have been a velodrome? The Cyclorama (Gettysburg) west side of 3rd, north of PIne. Gettysburg; a clue leading to a entertainment phenomenon that transported audiences across space and time to distant vistas, surrounding them with a 360 degree view. Cyclorama: it was the IMAX theater of its day. 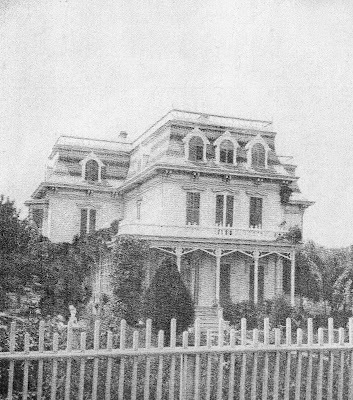 The Robert R. Thompson mansion on Third street between PIne and Ash. "In my morning walks through the city, I remarked on the good taste displayed in the selection and arrangement of the trees, shrubs and other ornaments, and their adaptation to mansion and grounds the were intended to beautify- and when I learned the place was yours I promised myself the pleasure of a closer inspection." 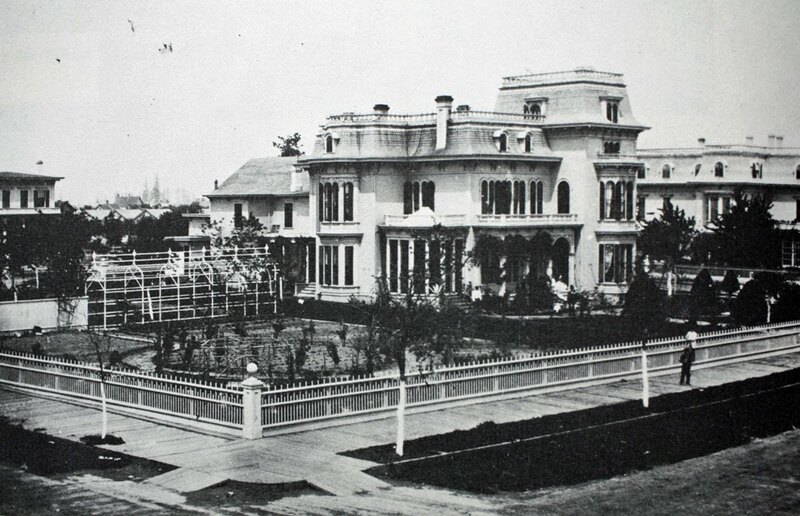 The John C Ainsworth and Robert R Thompson (far right) mansions. 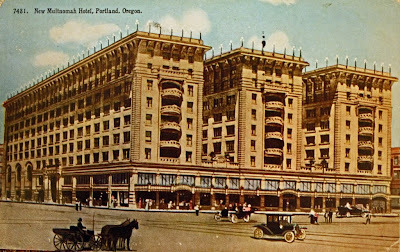 "A most remarkable change in the present volume, as compared to its predecessors, is the removal of many families whose names are familiar in the history of Portland from the localities which, but a year or two ago, were reckoned to be the most aristocratic and desirable residences in Portland, North Third and Fourth streets, which were the sites of our most elegant residences, have been abandoned to business..."
As the well-to-do vacated Third, a new exclusive neighborhood of palatial homes emerged on the west side of the Couch Addition, centered on 19th street. 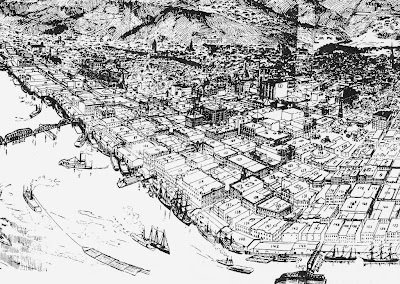 Ainsworth and Thompson had departed the region entirely, opting for Oakland and San Francisco respectively. Not everyone left. 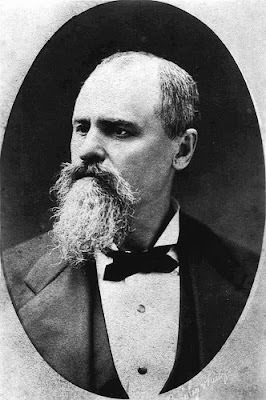 Ben Holladay, former master of flash and finance, ruined in the crash of 1873, remained, stranded, in his Italian-villa styled house on the south west corner of Third and Stark until his death in 1887. Ben Holladay, exile on Third street. By that time Third street was a very different place. Banks and business blocks were followed by hotels, restaurants and entertainment venues such as Cordray's Musee & Theatre which advertised opera, comedy and drama. 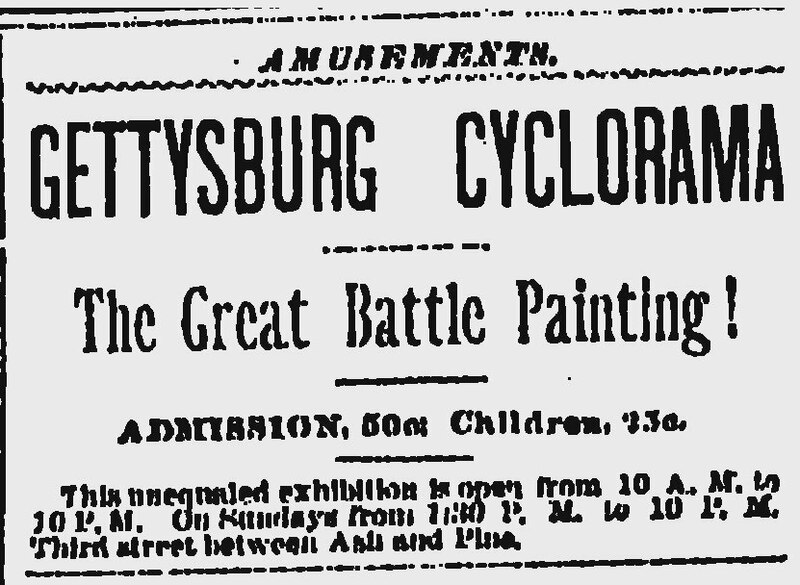 Also slated for Third was the latest in entertainment extravagance; a cyclorama. 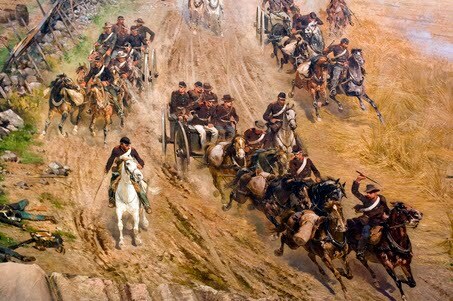 Cycloramas were a sort of nineteenth century virtual reality, which transfixed audiences with huge wrap-around 360 degree paintings, lighting, effects, narration and life-size diorama elements, transporting them to historic events, often battles. Gettysburg was a common subject (appearing at Gettysburg, Boston, Buffalo, Brooklyn, Chicago, Philadelphia, Denver and doubtless other locations). The Crucifixion of Christ (Buffalo), the Siege of Paris (Melbourne Australia), the Battle of Atlanta (Atlanta), the Battle of Sedan (Toronto), Waterloo (Melbourne again) and Jerusalem (Quebec) were among many topics portrayed. 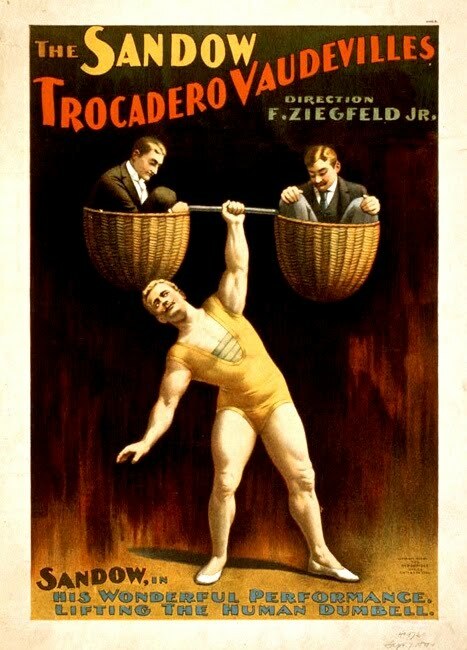 The Portland Cyclorama Company was established in 1887. 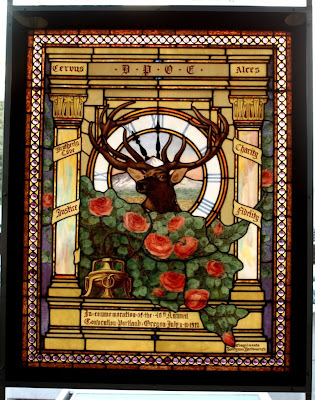 The company's well established board members consisted of L.L. Hawkins, an Ainsworth banking partner, Harvey W. Scott, editor of the Oregonian, Rufus Mallory, a former U.S. Congressman, Geroge P. Frank, a future Portland mayor, Byron P. Cardwell, a member of the Board of Police Commissioners, C.W. Robey, a former postmaster and F.N. Shurtliff. Midway through the year, construction began on a large three story brick building on the block bordered by Third, Fourth, Pine and Ash, on the grounds of Ainsworth's Oregon Steam Navigation associate Robert R. Thompson's mansion, which had been subdivided into rooms to rent. The Portland Cyclorama in the early 1890s, part of a warren of interconnected buildings that included the old R.R. Thompson mansion (three peaked windows facing south). Directly across Pine is the Ainsworth mansion (lower right hand corner) then leased to the Arlington Club. A portion of the existent Battle of Gettysburg cyclorama at Gettysburg Pennsylvania. To anchor the spectacle, the popular Battle of Gettysburg cyclorama painting by French artist Paul Philoppoteaux, the original of which was debuted in Chicago in 1883, was chosen. Portland's copy, weighing twelve thousand pounds, arrived December 7 1887, stood on end and by use of a thirty five foot high wheeled tower on tracks, slowly unrolled and hung. Two artists then arrived to add finishing touches such as clouds and smoke to the painting. 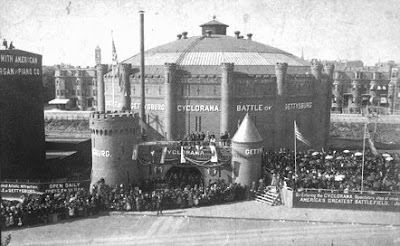 The Portland Cyclorama opened to wide acclaim, speeches by notables such as the Reverend Thomas Lamb Elliot and rave reviews on December 29 1887. "The building in which it is exhibited is circular and the painting covers the entire circuit of the walls from top to bottom. Light is admitted from the roof and a canopy over the platform in the center where spectators stand, cuts the line of vision just below the top of the painting. The platform is reached by a subterranean passage and a winding stair case and when a person emerges on this platform it is precisely as if he had risen from under the ground in the center of the battlefield of Gettysburg, when the battle was at its height. Nothing is to be seen to show that one is inside a building, no wall, door, window or floor." -The Morning Oregonian, December 30 1887. 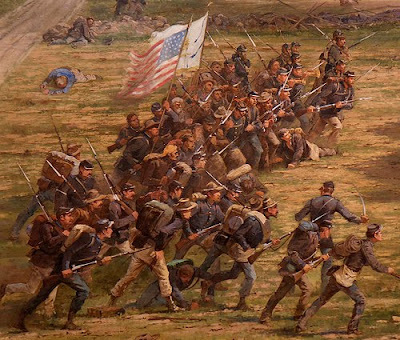 To further the illusion, optical effects, real stone walls, wood fences and other features were blended out of the scene into the viewing area, where a narrator explained the unfolding battle at the moment of Pickett's Charge. 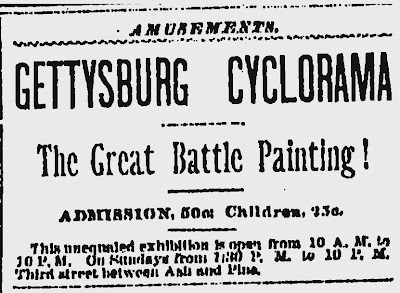 "With entire assurance it may be said that, of the great battle pictures on exhibition in various cities, none surpasses the "Gettysburg" now completed and thrown open to the public in Portland. Everyone who has seen this painting and the "Gettysburg" in Chicago pronounces the Portland picture greatly the superior one." Hours were from Ten to Ten with a fifty cent charge of admission (25 cents for children). It was a immediate region-wide success. Special showings, such as one for a group of 150 Vancouver area school children and a rail excursion from Salem were common. 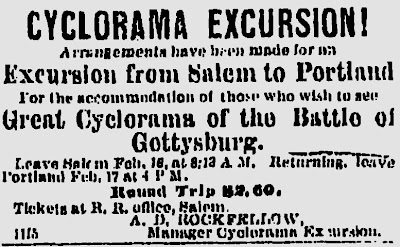 Letters to the editor poured in, asking for the proper pronunciation of cyclorama. A Gettysburg veteran, wounded in the battle, chose to be married there, the ceremony held in front of the place on the painting where he received his injury. Chief Joseph of the Nez Perce viewed it accompanied by an interpreter and a army general. 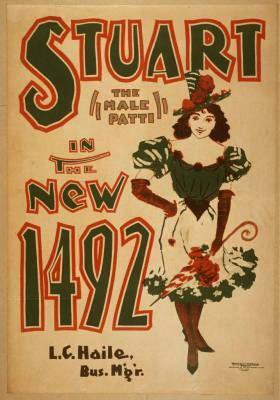 By the middle of 1891 the novelty had worn off and the need to revamp the spectacle was apparent. A live "battle" was added, acted in the foreground with cannon fire and muskets. At the finish of the narration the lights would dim and a lightning storm would commence, so real that some patrons were said to reach for there umbrellas. A military band closed the performances. 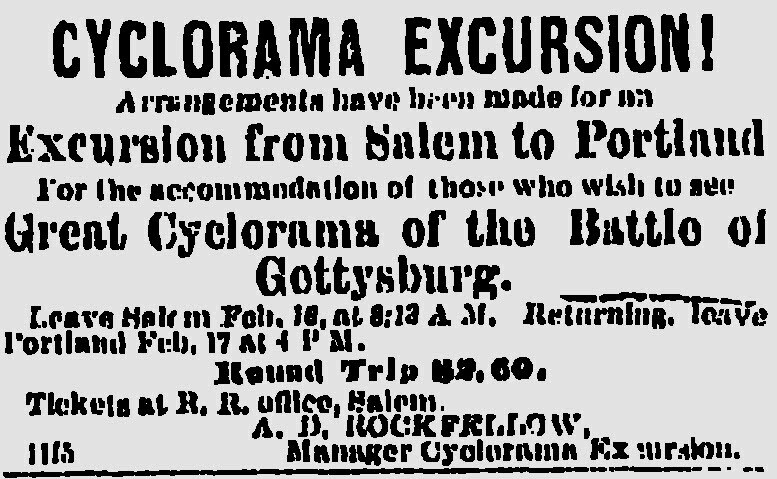 The Oregonian noted that under such management, the Cyclorama would continue to draw for several years to come. It was an optimistic assessment. On February 28 1892 admission was cut in half. The Oregonian noted that the rates would be for a short time only. Within five days it closed. 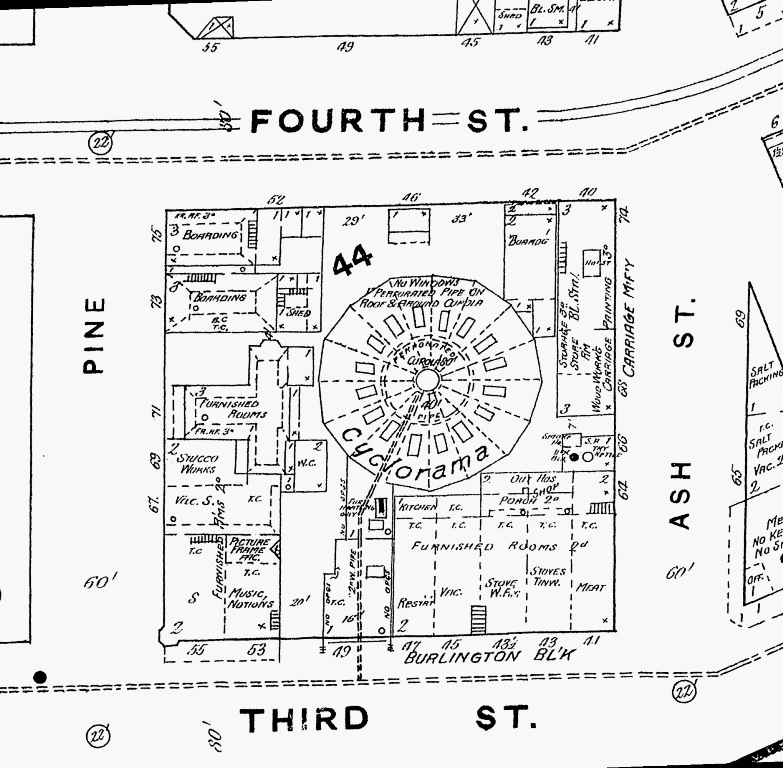 The Portland Cyclorama had lasted four years and two months. 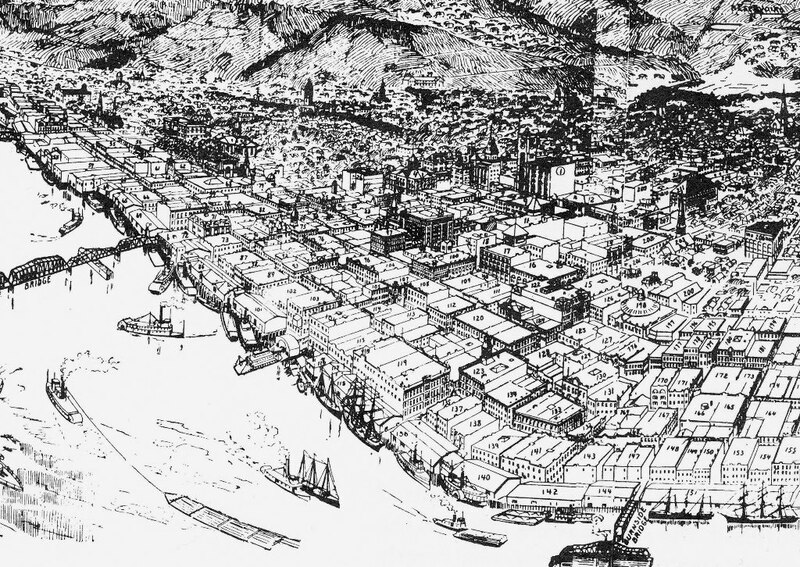 The Cyclorama building (numbered #198) appears in this post 1893 drawing of downtown Portland. The building quickly re-opened as the Past Time Athletic Club, a 5,000 seat boxing arena ran by former welterweight champion Jack Dempsey "the Nonpareil" (not to be confused with the heavyweight champion of the same name). 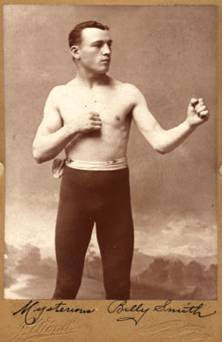 The Past Time was the scene of numerous bouts, including three that featured Portland's own Mysterious Billy Smith, on his way to claiming the welterweight championship of 1893. The Mysterious Billy Smith, Welterweight Champion of the World. Known as one of the dirtiest fighters ever, he was disqualified 13 times, a pro boxing record that holds to this day. He retired to Portland, for many years owning a bar named "The Champions Rest" until his death in 1937. 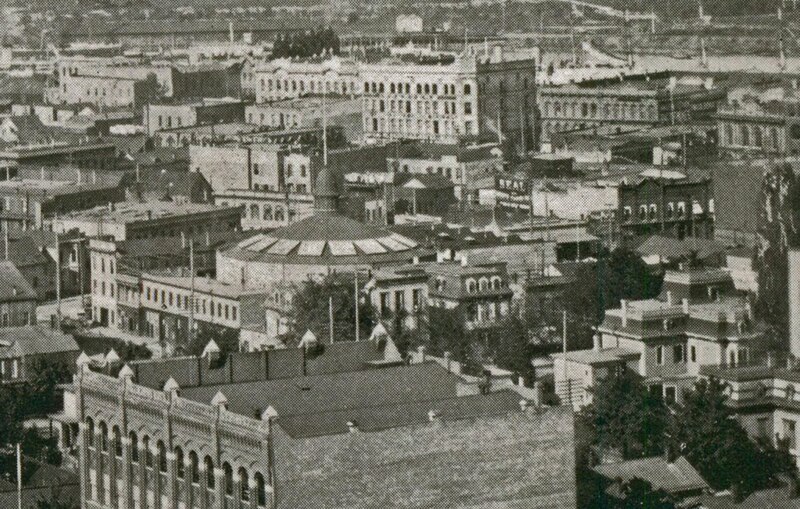 The roof of the Cyclorama building can be seen, lower center in this picture, circa 1895. 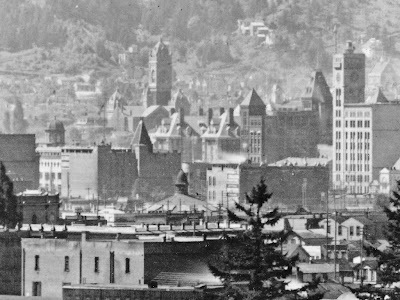 The cupola of the Pioneer Courthouse (post office) and the tower of the First Congregational, both still in existence can be seen, along with vanished Perkins Hotel, Hotel Portland, the Marquam on Morrison and the Oregonian's tower on Alder. The building was reincarnated a second time in 1893 as the Alhambra Music Hall, based on the style of a London Music Hall, and a third time in 1894 as the Trocadero Theatre, a "high class vaudeville. Blei's Trocadero, as it was also known, featured such national acts as the Mademoiselle Jaguarina, who specialized in knife and sword exercises, Zetta Tuforne, the operatic vocalist, Peppi Sternheim, "the Tyrolean Warbler", Miss Vera Gray, "refined song and dance specialties," Stuart "the male Patti," billed as America's greatest female impersonator, Gus Bruno, "one of the greatest American comedians," Billy Emerson, "the famous popular minstrel" and Sandow the Strongman, aka The Modern Hercules. Based on San Francisco's Tivoli Theater, the opening performances would close with "the great burlesque of Monte Cristo." Sandow the Strongman (poster from the Trocadero in New York'). The Trocadero lasted but one extravagant year. After its close the building went into decline with a series of devolving uses, subdivided for retail space, or opened up for a dog show. In 1909 it was in use as a carpenters shop when the Thompson Estate stated the site would be the home of a new 2,500 seat theater. By the next year, the plans had changed and it was announced a $750,000 hotel would be built instead. 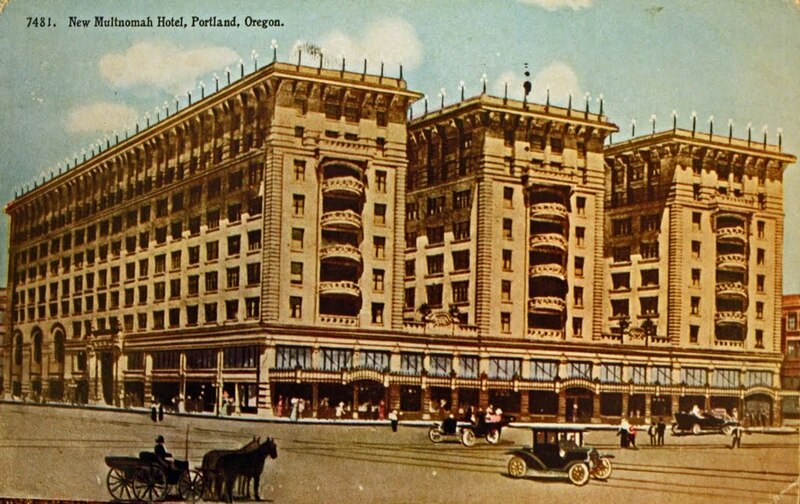 The Cyclorama, aka the Past Time Athletic Club, Alhambra Music Hall and the Trocadero was demolished in September 1910, to make way for the Multnomah Hotel, today known as the Embassy Suites. "What and where was the Portland cyclorama?" -Trivia question in the Oregonian, June 6 1927. A surprising relic at the Elk's Children's Eye Clinic at the Casey Eye Institute, a stained glass window commemorating the grand Elks Convention of 1912, from the original Elks building at 7th (Broadway) and Stark, which I wrote about in "A Summer Extravaganza." 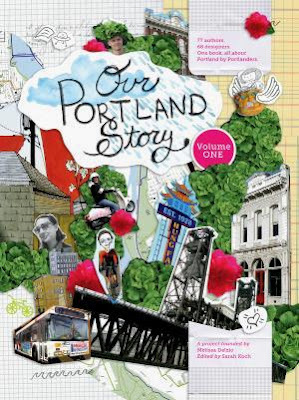 Be sure and check out Our Portland Story, a project that pairs essays by Portland writers about what they love about Portland with local designers to create a unique book that is great portrait of the city, just in time for the holidays. My essay, Old Portland, is on page 46. Available at Powells, numerous local stores and direct.